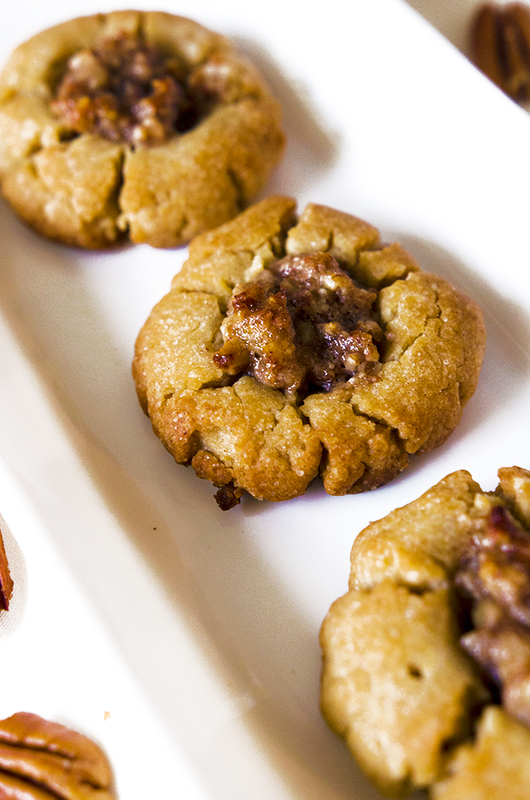 It's still pecan pie season, and cookie season is definitely in full swing. What we have here is not only the best of both worlds, but also the best period. Y'all, I'm not exaggerating when I say that these are the best cookies that I've ever made. Better than my favorite summer cookies, Homemade Graham Crackers and Icing, better than my 1970s/Nick-at-Nite/leftovers inspired Cornflake Cookies, and yes, somehow (against all odds) better than my White Chocolate Birthday Cake Cookies. 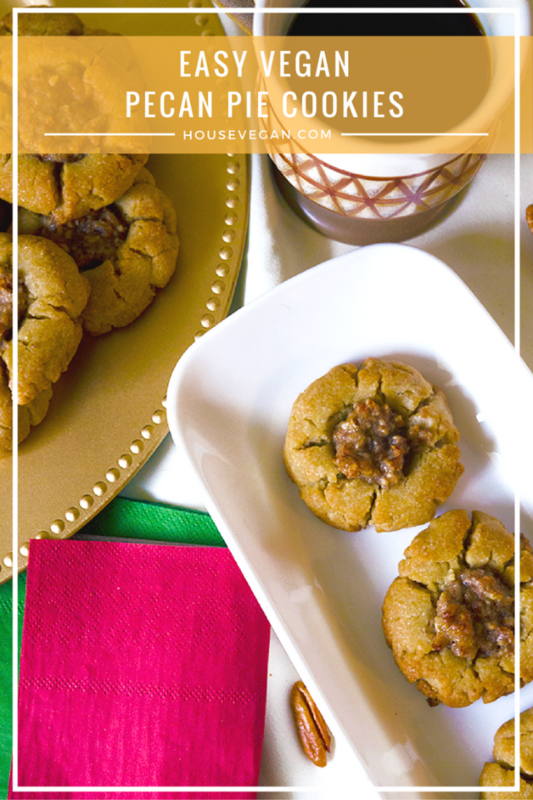 This nutty and chewy vanilla and molasses cookie will remind you of the best pecan pies you've ever had. At least they did for me! When I was a kid my grandmother and aunt would spend hours delicately filling tiny pastry cups with pecan filling to make their well-loved pecan tassies. These are my nod to those little treats. Sure I could make my own tassies, but why not expand on the idea while making the process easier? These are different yet similar in such a lovely way. 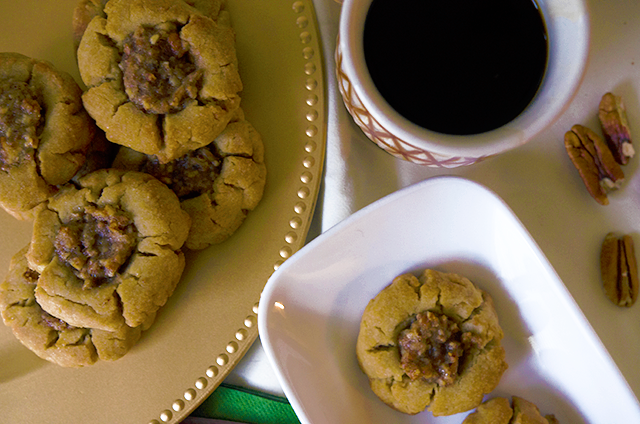 That sweet and gooey pecan filling is present, but delivered to your mouth via a rich drop cookie instead a flakey cup. 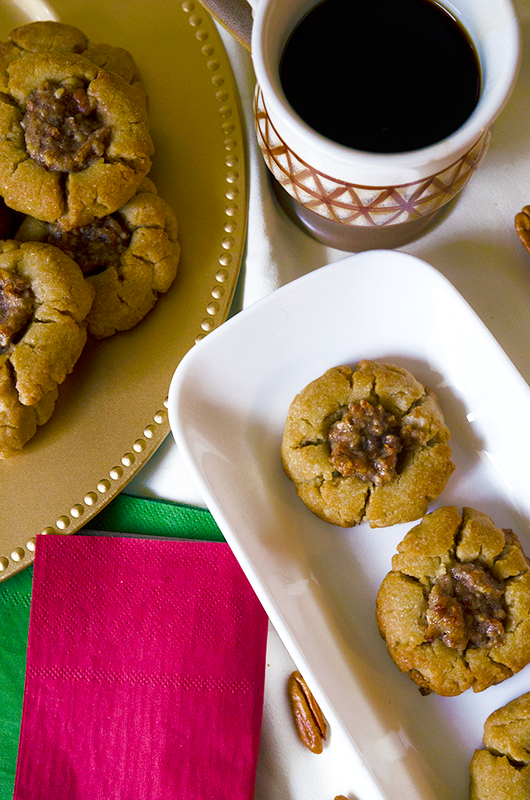 Either way, your holiday cookie plate would definitely be a little better with the presence of pecan. Just sayin. I've got more delicious and seasonal recipes for y'all coming up so stay tuned! I know the blogosphere can get a little quiet this close to Christmas, but I'll still be here with recipes and goofiness to share. 1. Preheat the oven to 350°F, and line a large baking sheet with parchment paper, or a silicone baking mat.2. In a large mixing bowl, combine the flour, 1 tablespoon of cornstarch, cinnamon, baking powder, and salt.3. In another mixing bowl, whisk together the margarine, sugar, molasses, 1/2 teaspoon of the vanilla, and milk. Pour this mixture into the flour, and stir until the ingredients are completely combined. Set the dough aside for now.4. In a food processor or blender blend the tofu until it is completely smooth. Add the brown sugar, remaining cornstarch, remaining vanilla, and salt and blend until just combined. Pour this mixture into a separate mixing bowl and stir in the pecans.5. Drop the prepared cookie dough onto the prepared cookie sheet by the tablespoon, leaving 1-inch between each cookie. Using the back of a teaspoon make an indentation in the middle of each cookie, and then fill them with a little less than a teaspoon of the pecan filling. It doesn't need to be exact.6. Bake the cookies for 10-12 minutes, or until the cookies are brown and crispy around the edges.